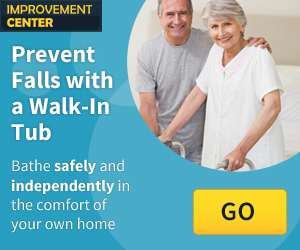 What do Nursing Homes offer in San Jose, CA? When receiving care in a nursing community in San Jose, CA your loved one will be cared for in a serene living environment. In the state of California Nursing communities are licensed, regulated and inspected by multiple public and private agencies. These health agencies include the California Department of Public Health and the U.S. Department of Health and Human Services’ Centers for Medicare and Medicaid Services. Nursing home communities are living environments that provide health facilities, nursing and supportive services to patients who need skilled nursing care on an extended bases. Nursing Facilities provide for the psychological, social and medical needs of residents. Nursing home communities are constantly evolving in this day and age as other senior living communities become innovative. These communities provide health and medical services to seniors with potentially serious or severe medical problems, and physical or mental illnesses. Residents within these communities receive complete healthcare from licensed & certified nurses, doctors and aides. There are 25 Nursing communities in San Jose, CA that could fit your needs. Click or see below to view Nursing Communities in San Jose, CA. Some Rehab and Care or skilled nursing communities in San Jose, California have several living options available. Some nursing care facilities also provide advanced medical equipment on-site for residents as well as many rehabilitation and transportation services.These residences provide room and board, daily meals and other support services for residents who cannot care for themselves. San Jose is the third largest city in the state and is located in the bay area of California. The city of San Jose is near cities such as San Francisco, Los Gatos and Santa Clara. San Jose has many sites such as the Heritage Rose Garden the Alum Rock Park and The California Theater. The city of San Jose has around 180 hospitals and medical complexes. This city will surely provide you and your loved one with all your needs.